We support high-growth startups that push the boundaries of clean technology. These companies represent a trillion-dollar industry, touching virtually every part of society — from creating cutting-edge materials and transportation solutions to reducing emissions and cleaning up our environment. MaRS Cleantech helps entrepreneurs bring their products to market quickly, while also making organizations and businesses more sustainable and cost-effective. We provide expert advice, and connections to talent, capital and global markets. Our mission is not only to help create jobs and opportunity in a growing sector, but also to bring Canada’s considerable talent in clean technology to bear on some of the world’s most pressing problems. Technologies that enable sustainable farming and increased food production. Technologies that help designers build better products. New materials engineered to improve existing products. Solutions for storing, generating and distributing energy, and managing consumption. New ways to move people and products using eco-friendly fuel and vehicles. Technologies that treat and recycle industrial and household waste. Solutions for water purification and wastewater management. The MaRS Cleantech ecosystem consists of entrepreneurs, investors, scientists, policy makers, corporates and world-renowned research institutions. 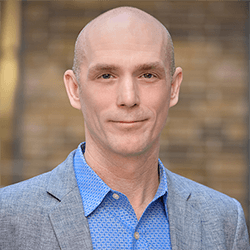 Jon Dogterom leads Cleantech Venture Services at MaRS, assisting innovative Ontario-based companies in growing their businesses. He is also part of the Management Board of the Advanced Energy Centre, a public-private partnership that was co-founded and is hosted by MaRS Cleantech with a focus on innovative domestic energy programs and strengthening international relationships to drive exports, and a member of the Ontario Smart Grid Forum. Jon has an extensive background in early-stage and high-growth alternative energy companies. Prior to joining MaRS, he led business development for Hydrogenics Corporation, where he focused on strategic partnerships, product development, and sales and marketing. He was also involved in the introduction and launch of the company’s fuel cell and hydrogen generation divisions. Jon also previously worked with The Pembina Institute, leading corporate-consulting services on low-impact renewable energy and energy policy. In 1997 he co-founded Sustainable Energy Technologies, a leading Canadian provider of power electronics for the solar power industry. Jon has degrees in civil environmental engineering from Queen’s University and in marketing and product management from the MIT Sloan School of Management. 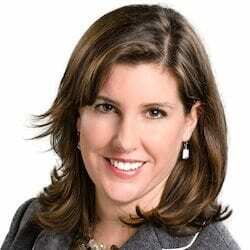 Jane is a senior advisor with MaRS Cleantech. She is a recognized leader in sustainable innovation and has extensive experience growing companies at the intersection of business and sustainability. She co-founded, grew and profitably sold a full-service renewable energy company, Clean Energy Developments, and leverages over 20 years of experience in the environmental finance, cleantech and sustainability sectors to help build businesses that matter. Throughout her career, she has advised entrepreneurs and executives on project and equity financing, mergers and acquisitions, strategic planning and business development. She helped launch Columbia Business School’s first environmental finance course, which continues to be taught in the school’s MBA and EMBA programs, as well the School of International and Public Affairs. Jane is the co-founder of the CanadaCleantech Alliance, a board director at the Water Technology Acceleration Project (WaterTAP) and sits on advisory boards for the MaRS Catalyst Fund, Shell’s Quest Climate Grant and the Pembina Institute’s UnGALA. Jane holds an MBA from Columbia University. David studied industrial engineering at the University of Toronto and has an international MBA from the Rotman School of Management. He is a certified off-road motorcycle instructor and is comfortable working in Spanish and Italian. Together with his wife Anne and two children he has traveled and worked in more than 60 countries. David is a principal at the Osborne Group specializing in strategic growth management and has held executive roles as president of Sprint Canada Residential telecom, SVP at Direct Energy for commercial/residential and founding president of Empori.com. Prior management positions at Labatt, Canada Post, Bata Shoes and Warner Lambert included international postings in Europe, the US and Latin America. More recently, David has held interim executive roles for strategic business transformation at clients including Sears, CIM, IceGen and Cavet Technologies. An active community volunteer, David was a director and board chair of Habitat for Humanity Canada working with Habitat in Canada and overseas since 2002. 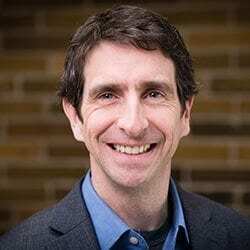 He is a governor of the University of Toronto, a business advisor with MaRS Cleantech venture services and a director of the Bata Museum. In 2013, David completed the ICD (Institute for Corporate Directors) NFP Governance program. 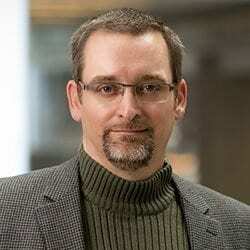 Tyler Hamilton is senior manager of partnerships with MaRS Cleantech Venture Services. 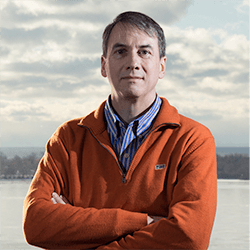 Previous to joining MaRS, Tyler spent two decades as a journalist and wrote extensively about Canada’s clean technology sector and global cleantech trends. Most recently he was editor-in-chief of business and sustainability magazine Corporate Knights. 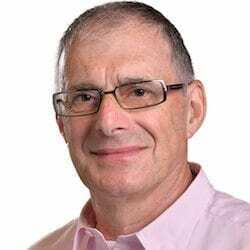 He also spent 13 years at the Toronto Star, where he reported on Canada’s energy sector and wrote a popular weekly column on clean energy technologies and trends. In 2011, Tyler authored Mad Like Tesla, a book that examines the various barriers to clean energy innovation and surveys the landscape of some potentially world-changing clean technologies. A recipient of the Cleantech Group’s “Pioneer” award for his early writings on the sector, Tyler was also recognized in 2016 on Canada’s “Clean50” list for his thought leadership on clean energy and climate issues. Jason MacFarlane leads the Advanced Manufacturing Cluster within Cleantech Venture Services at MaRS, supporting startups with product development and manufacturing while leveraging industry collaborations. He brings extensive product design and manufacturing expertise in a wide range of industries including automotive, industrial automation and machine, consumer, medical, transportation and advanced technology. Much of Jason’s experience comes directly from leadership roles, from supporting high-volume vehicle production at Chrysler to managing an engineering group driving product design and build in the transportation industry for Orion Bus. Over the past 15 years, as Director of Business Development and Engineering, Jason has played a prominent role in growing an engineering services company, CADmech Design Inc., to become a trusted partner to Canadian manufacturing OEM’s. Through this leadership role, he developed a highly qualified technical team, rolled out a full range of product development services, conducted all sales activities and developed brand marketing content and strategies, all of which culminated in lasting customer relationships. Jason is a registered professional engineer and has a degree in Applied Science, Mechanical Engineering from Queen’s University. Join our roster of amazing companies.